look great after 25 (and beyond) wash and dry cycles. I've been hiking for 45+ years so it's safe to say I've purchased and tried dozens of hiking shirts. 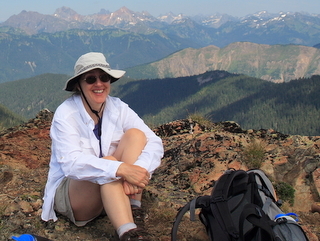 Here's where I tell you which ones are the best hiking shirts in my long trail experience. 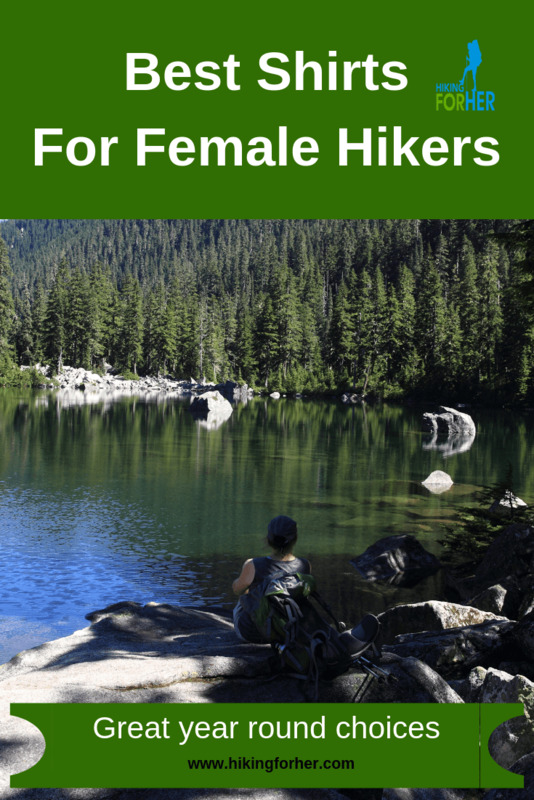 These recommendations are for womens hiker shirts, but the brands I favor also make great hiking shirts for your male hiking buddies. You might be thinking that it's a little over the top to call out the best hiking shirt features, and if so, just skip down here to where I name names. If you want to size up the quality, versatility and durability of hiking clothing, this stuff is for you. If you're a beginning hiker who plans to hike only in warm dry weather, don't spend lots of money on high end technical hiking shirts. Just wear what you've already got until you figure out if this hiking thing works in your life. If you're a committed hiker, don't spend lots of money on hiking shirts unless you are hiking in areas prone to downpours, cold weather mood swings, blazing sun and insects. If you're a rabid "don't get between me and the trail" kind of hiker, you need hiking shirts that will perform all of the functions I listed above. looks good enough to go into town at the end of the hiking day. feature reinforced seams, to allow for some pretty vigorous movements. Now it's time to name some names! A sleeveless hiking shirt is the way to go if you've applied sunscreen. 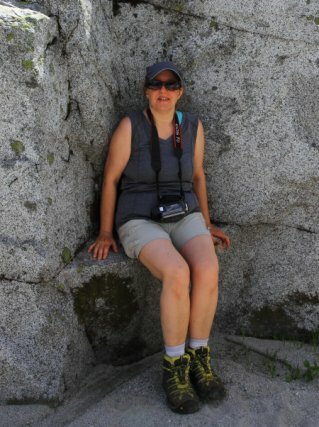 Some of my favorite sleeveless hiking shirts are from Under Armour. I prefer a modified tank style, with enough fabric to cover the straps of my sports bra and to prevent chafing from my pack. The wicking ability of these shirts is wickedly good, and they don't hang onto body or cooking odors after they're laundered. like this one from Columbia. Or this one, from ExOfficio. Sometimes a sleeveless shirt won't give me enough protection from the sun, bugs, or a brushy trail. That's when I don one of these little beauties from Helly Hansen. There are lots of reasons to love this shirt for hiking. no wrinkles when you pull it out of your pack. Helly Hansen makes really great hiking clothing for women, and based on my long experience wearing their products, you won't go wrong wearing these shirts. Is style really important to you on the trail? This nice looking V neck Helly Hansen Burner T-shirt has an interesting quick dry fabric. One of my best hiking shirts! Tip: The dirt washes right out, whether in the Canning River in Alaska, a fjord in Greenland, or the washing machine in the laundry room. Another nifty feature: You can roll up the sleeves and secure them with buttons, making this shirt versatile enough to leave other shirts at home (thus, a lighter pack). My husband has the male hiker version of this shirt, and he says to add his testimonial about durability and good fit! This shirt has traveled to many hiking destinations over a 7 year period, and it still looks great. I like a white shirt because it keeps me cool and doesn't seem to attract as many insects. Worried that white attracts dirt? Choose a color. Always add a hiking vest to your long sleeved shirt once conditions demand more insulation to protect your vital organs in your torso from heat loss. A cozy collar on a vest also blocks a cool breeze, keeping you more comfortable on the trail. Who could argue with that statement, right? But there are a LOT of places you can buy a hiking shirt. Overwhelm is not only possible, but probable. The clothing companies I use and have recommended to you have been around for a long time, and are interested in developing a long term relationship with hikers. Their price points are higher, but sometimes you can score a deal! It's worth a try, right? If you decide to buy less durable (and thus less expensive) hiking shirts, please avoid cotton. It's not going to give you the sweat wicking and fast drying features you really need on the trail. It will get baggy and smelly after a season of hard hiking. And don't overlook its association with hiking hypothermia. Interested in an extended size range in hiking clothing? Read these tips for locating the best companies and recommendations of great active wear in extended size ranges for women hikers. Send me any questions you have about hiking, up to and including shirts. 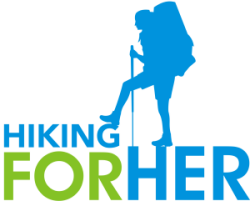 Purchasing the best hiking shirts through one of the links on this page will be your random act of kindness for today, because at no extra cost to you, a tiny commission flows into the Hiking For Her coffers to keep the lights on and the free hiking tips flowing. Thank you for supporting this website in your quest for the best hiking shirts and other outdoor gear!